In today’s post, I want to clear up some things about my manuka honey and jojoba oil face routine that I use and love and also recommend to others. It seems like I get a fair amount of comments from people saying they love the manuka honey, but I also get a lot of emails and comments from people saying things like “I was all excited about the manuka honey, but then I tried it and I’m breaking out. What the heck? Will this pass?”. Well, what I’ve generally been saying is that “yes, it will pass”, but I’d like to gather some user experiences here…. are you someone who’s used the manuka, had a bit of an initial breakout and it passed? Are you someone who’s used manuka for at least a month, it broke you out and it didn’t pass? Are you someone who used the manuka, had no problems, and love it? Tell me in the comments…. what has your experience been with using manuka honey as a face wash or a mask? Personally I think people just put way too much stock into external skin care. If you are getting acne, it is because of an internal imbalance – plain and simple. Bad, chemical filled face washes and creams can totally inflame the problem and make it worse though, and that is why we are switching to something gentle, natural, and non-irritating, not because we expect it to cure us. In fact, if you are someone who ends up seeing mega reductions in your acne from switching to manuka or something else that’s gentle and natural, it’s likely to be more about what you quit using that was irritating your skin, rather than the manuka itself being the saviour. If your body is unhappy and wants you to get acne, it doesn’t matter what you put on your face, no matter how good it is. But people just get so worked up thinking that the next product will clear their skin and be the answer to all their problems, when it won’t be. This is all just conditioning from the advertising that’s been pumped into our brains over the years. Personally I like manuka honey combined with jojoba oil because it has definitely improved the appearance of my skin. It is smoother, calmer, and it looks a heck of a lot healthier than it did when I used chemical face washes and acne creams. I take comfort knowing that it is not provoking inflammations, and I do think it helps prevent it in my not-so-stubborn acne prone areas. But it has not cured my acne, and I don’t want to promote it like it’s some kind of a miracle. So ask yourself…. you got a few pimples after you started the manuka, but would you have gotten those anyway? Were you getting the same sorts of pimples before you started the manuka? It’s easy to freak out and blame it on your new routine simply because you expect unrealistic results from it. That’s all well and good, you say, but now you’re telling me that your acne is actually WORSE than it’s ever been now that you’re on the manuka. Well this is where I do think it will pass. I think there can be a definite transition period where your skin may get a little upset when switching skin routines, and I think this is especially true if you were using something all chemically before it. Like you, the skin gets used to its environment… it gets cozy and doesn’t like change. And if you were using chemicals on it, it has been absorbing those for a long time. Suddenly you give it a chance to breathe and it’s going to go through a bit of a detox period where it will purge those toxins and you may break out (this often begins a couple weeks later after the switch). Again, it’s more to do with what you were using before rather than the manuka itself. However, I believe if you stick it out, the skin will find a balance and you will be much better off for it. It’s okay… we’re all impatient! Initial breakouts aside, I want to remind you that moving from chemicals to natural stuff is definitely a process and it may take a while (even up to two months) before you really notice your skin seeming healthier. This is something that I learned from my boyfriend’s experiments with quitting shampoo and the whole No ‘Poo movement. People are starting to realize that the chemicals in shampoo are very damaging to our hair and scalp, leaving our hair limp and our head’s super greasy. This happens because the chemicals are stripping out the body’s natural oils, causing it to overcompensate with more and more oil. The more you wash with your chemicals, the greasier your hair gets, the more you need to wash, and the cycle goes on and on. People are doing the same thing all the time to their faces. Think about it. Anyway, people are discovering that if you quit shampoo and move over to natural, chemical free ways to wash your hair – like with baking soda and apple cider vinegar – your head will not get super oily 24/7 and your hair will have much more volume, bounce, shine and life than it did before. The thing is, in order to get your head back to producing the right amount of oil so you an enter hair nirvana, you have to go through a really gross, oily phase as you quit shampoo and your scalp learns to stop overproducing. Some people make the transition really easily and don’t go through any greasy phase, but for others it can take up to two months or more. What I’m trying to say is that when you switch to natural facial products, you are expecting to see an instant difference. Don’t – learn the lesson from the No Shampoo’ers and realize you have to do your time before your face will figure things out and regulate itself. We’re in this for the long term benefits, guys. I can’t lie…. no one thing works for every person. Honey is generally very non-reactive, but maybe your skin really doesn’t like the manuka. Some people have very, very sensitive skin and even that is too much for it. There is also a chance you could have an allergic reaction to bee products, but there’s no way for me to determine from across the computer if that is what is happening to you or not. While I’d recommend giving it a chance for at least a month to see how it goes, if something doesn’t make you feel happy, then don’t use it. I’m not selling manuka honey, so it’s not like it matters to me if you use it or not. Just mull over everything I’ve said here and then use your intuition to decide if it’s something you want to continue with or not. Alternatives to honey for a face wash that you could try are aloe vera, straight jojoba oil, or jojoba mixed with aloe vera. I hope you found this helpful. Please let me know below what your experiences have been with using manuka honey, or your experiences with switching from chemicals to natural stuff. I’d like to know if my theories are correct! My New Skin Care Routine is Off the Hook! How I Wash My Face to Prevent Acne How Charlotte Cleared her Skin by Washing her Face with Honey Why is Manuka Honey So Special for Acne and Acne Scars? While I loved the idea of he honey mixture, it felt like my skin couldn’t breathe. Also, it’s pretty messy! Using Weleda’s almond line now, pretty gentle stuff. Plus the real challenge remains finding what my body really needs to heal. I use to get breakout around my lips, nose and chin area. I could never figure out the cause untill I read an article in a magazine about foods and skincare products like face soaps. I then started to experiment with the foods I was eating daily and the face soap i was using daily by cutting intake and usage. My daily regular consumption was honey, home made full fat milk yougurt and bread (toast) and a facial cleansing bar made up of tea tree oil and other chemical stuff, your regular off the shelf variety. I stopped eating my regular foods one by one and changed my soap to a neutral bar This whole process took about 4 months to resolve in-between severe to moderate breakouts.. Then, for me magic happend, no more acne. Honey was acting as my trigger for breakouts! The soap, neutral bar, I have stuck too as well. I havent dared to stop using the soap bar. But honey was the key ingredient in my breakouts. I still eat honey but once a week a tea spoon full on my oats. But no more breakouts. It may be that honey is ok for some people whereas other foods may be acting as triggers. But to find out you need to go through your own list. Hey Tracy, I haven’t posted here in a long time. But I’ve been coming to your blog every other day since I discovered it. It has been really helpful in curing my acne and having overall better health. Anyway, back to the topic, I went out and bought several jars of manuka honey after I read how helpful you said it was to you. I also bought some jojoba oil. I followed your instructions, made your concoction, and cleansed with it and used it as a mask. I didn’t break out initially, but after a while I starting seeing more pimples on my face. So I did this for 3 months straight and I decided it wasn’t helping enough, so I stopped. I’m not saying that it didn’t help at all, in fact, it did make my skin that didn’t have pimples look great. Plus, my scars faded faster. But I figured that didn’t matter if it was giving me more pimples. My theory is that it was the jojoba oil that broke me out more and not the honey. But I didn’t test that so I’m not completely positive. After that I actually did something kind of contradictory to your blog. I went to see my dermatologist and he put me on minocycline and retin-a. I know it isn’t the best thing to do, but I’m clear! I think the reason I’m completely clear is because I combined things from your blog and some more conventional things together. I really do think you helped me tremendously and I want to thank you. So, THANK YOU!And even though I’m clear I’m still going to come to your blog religiously. P.S. I still buy manuka honey and eat it. It is so good! I dip apple slices in it, put it in my tea, and put it on an occasional biscuit. I use Manuka Honey both as a facewash and as a mask and I love it! I wear makeup and work in a fast food resturant so most nights after work I will use a different face wash to remove my makeup and then put the honey on my face for 30 minutes and wash it off. I find that the honey is gentle and helps with my dry skin. I still have acne but I know it isn’t because of the honey, it’s because my hormones are out of wack! I used manuka honey back when I used to take birth control and my skin was always clear but now that I’m off, I have mild/moderate acne again. I recomened using manuka honey but just don’t expect a miracle! If you want a miracle then you need to do it from the inside out. Oh and about the jojoba oil… that DID break me out but it made my skin so plump and beautiful! If jojoba oil doesn’t break you out than you are lucky because it is the worlds best moisturizer!!! I used a Jojoba oil that Tracy suggested and it made my face feel so smooth and healthy. It also gave me have HUGE bulging white heads that I’d never had before. I wish it didn’t have that effect on my skin because it really is the best moisturizer EVER. We’re all made a little different. Just because it works wonders for one person doesn’t necessarily mean it will do the same for you. On the other hand, I use Manuka as a mask for thirty minutes every morning. It has greatly improved the overall appearance of my skin. Although I love my Manuka honey, it isn’t what cleared my skin. I give full credit to whole foods, water, exercise, and peace of mind. I changed to Manuka honey (UMF 15+) about 4 months ago, and, whilst it hasn’t ‘cleared’ up my skin, it has for sure improved its texture and overall health. I too use organic jojoba oil, which is very soothing and moisturising, the only slight downside for me is that it has slightly stained my skin, so it looks like I have fake tan on. (though I think it was just the last bottle of the jojoba oil as it seemed darker. Hey, it’s natural it can’t be the same batch to batch!) Would you say that lemon juice would be a good product to lighten the skin, or it too drying? So in conclusion, I would definitely recommend manuka honey and I can’t see myself ever changing to ‘skin products’, after all, like you said, nothing external in terms of what we apply to our skin will comply heal us, so we may as well use 100% natural and safe products to cleanse and moisturise. Just a quick comment- the breakout that you are describing- google perioral dermatitis- over this past year I had an outbreak of that and was on a topical and a long-term antibiotic. VERY tough to get rid of but it is possible- check your toothpaste as it can cause worse reactions, and make sure to take a good probiotic if you are taking the antibiotics long term. Good Luck! Yikes, I’m so sorry Magda! Unfortunately I don’t really know anything about staph infections in particular, but I would advise you to be as good with your diet as possible and get really nourishing foods in you if you can – homemade bone broths, leafy green vegetables, pastured egg yolks, organ meats, and fermented foods! Kefir, sauerkraut… these will help support your immune system, and the fermented foods will help you get through the antibiotics. Take a strong probiotic supplement too toward the end and after the antibiotics. Trust me on this, (I have been on an extensive, incredible journey over the past decade towards health and wellness with many trials and tribulations). Typically, antibiotics should be avoided, but in certain cases, (including a staph infection) they are necessary. So – first, stay calm and trust that your face will clear, soon this will be nothing more than a memory. Begin the antibiotic. While you are taking the antibiotic you should also be taking a good beta glucan supplement (which works synergistically the antibiotic, helping the body identify and tackle the staph). You are probably aware that your inner eco system is very sensitive and that antibiotics can throw off the balance of healthy, intestinal flora… (which leads to reoccurring skin problems and other issues) this is why it is recommended that you take a probiotic during treatment (look for a probiotic with a stomach acid resistant “enteric” coating, so it is sure to reach your intestinal tract rather than dissolving in your stomach). On top of that, you should take a probiotic, beneficial YEAST called saccharomyces boulardii, brand name FLORESTER. The reason for this is that this type of probiotic is not a bacteria and is therefor resistant to the antibiotic during treatment. If you would like to (and can afford to) you can also take an additional supplement called lactoferrin, a milk protein found in breast milk responsible for fighting infections such as cradle cap in babies. Lactoferrin cleared my acne. It also encourages the growth of healthy bacteria in the gut, and drastically strengthens and modulates the immune response. Do not touch you face or apply any unnecessary, unprescribed products to it. And most importantly, keep your spirit strong and positive. If you catch yourself feeling fearful or thinking negative thoughts, correct those thoughts immediately! Negative thoughts get in the way of the healing process, and don’t fret you will heal. *I see that your post is from several months ago. Regardless, you can still follow this protocol even if you have finished your round of antibiotics – as can any of you suffering from skin problems, infections, candida, or digestive issues. There has been research done and published in March that using Manuka honey for staph infection with antibiotics actually helps you heal faster and it doesn’t make staph become resistant to antibiotic if used together with Manuka honey. Were you using organic jojoba oil? I found that my face was breaking out a lot from the excess oils, too, but then a light bulb went off, and I realized I should have bought organic – once I made the switch from conventional to organic my face looked so much better. This is a really great point…. some people’s skin just doesn’t like jojoba or oils, but the quality of it makes a huge difference, I try to emphasize that but I never know if it gets through. I am going to write a post about how to choose a good jojoba oil! Thanks! I used Desert Essence 100% Pure Jojoba Oil. It doesn’t say it is organic though. So I might go and get some organic jojoba oil and try it out. Thanks for the tip. Missed the smell of it so went back to my jar and slathered it on! I’d forgotten that I added cinnamon & nutmeg to the mix, both supposedly good for acne and scars. I smell delicious. I love your site! I go on here at least once a week yet have never posted. I started washing my face with Manuka honey after using a ton of chemicals (Proactiv, Neutrogena, etc). It worked very well at first, coupled with Aubrey Organics Aloe Vera as a moisturizer. However, after two months I started getting little pimples again, and it just worsened from there. I switched to regular honey, thinking Manuka was too strong from the tea tree pollen. But my face just started reacting horribly to it! 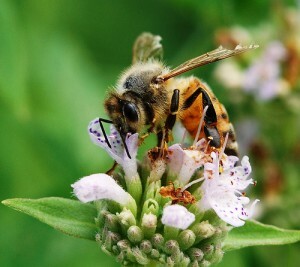 Maybe, since the honey acts as an antiobiotic/ antibacterial, your skin starts becoming resistant to it. I never figured out the trigger, but I have no known honey allergies and just used it briefly to wash my face! I hope this helps. Now, I’m using powdered organic goat’s milk and my clarisonic to wash my face, which seems to be working great. Sarah how is your skin now? I started the regimen (manuka honey only) 2 days ago.. the first day was great and now my face is looking way worse than usual :/ I’m thinking maybe my skin is purging.. how did it work for you long-term? Hi Tracy! I was reading your latest post and noticed you were taking a readers poll on how the manuka honey affect an individual. Since I’ve started using your honey and jojoba face wash routine I’ve actually tried 3 differet types of raw honey. First I tried plain ol’ raw honey in tandem the jojoba oil. I used it about 1 1/2 months. It worked ok-cleared me up a little. Next I tried enriched honey with bee propolis, bee pollen, and royal jelly in tandem the jojoba oil. For me personally, this type of honey worked the best. My spots disappeared faster and I didn’t have as many pop up. I used this for about 2 1/2 months. I’m now using Manuka honey about 1 month) and my face is NOT liking it at all. I’m breaking out frequently and the type of acne I’m getting is also different. It’s angrier and is itchy and painful before it makes a pustule. I’ve kept a steady diet, sleep habits, etc so I assume it’s the type of honey I’m using. Oh! and I always add a bit of tea tree oil to the honey/jojoba oil mix. I hope this helps out your study! Hey I did some research on using Manuka honey as a topical for acne and I found that a few people said that all Manuka honeys do not have the same anitbacterial and anti-inflammitory properties. What is your take on this issue and what brands of Manuka honey have you tried. Thank you from Victoria B.C. ! All honey is antibacterial, but yes… true manuka has a “special” antibacterial property not found in other honeys. And yes, not all manuka honey has it either, but manuka honey companies will certainly try to trick you into thinking their product does! The most important things to look for is that it has a UMF or OMA rating on it, it says ACTIVE, and the UMF or OMA rating is over 15 +. Hi Tracy! I got the Wedderspoon 100% Raw Manuka Honey Active 16+ but it doesn’t say UMF or OMA. Is this ok or should I get a different one? Hello beautiful! No it doesn’t say OMA on it at all. :/ I sent the Wedderspoon company an email regarding this, hopefully I hear back soon. I already bought and used it and it was super pricey so I’m just gonna finish it off and next time buy another brand depending on if I hear back from them on this subject and what they say. I’m not noticing a difference in my skin in this Manuka honey compared to a lower grade one I bought previously. I’m not seeing my skin heal more like I thought it would with this one. Thanks for everything! Baking soda is also a good natural face wash. Plus, it’s great for exfoliating. I’ve gone through two little tubs of manuka honey now and I think it’s too early to tell if it’s helping or hurting or neither. My only problem is that I can’t stop eating it. It is so delicious ain’t it? Way better tasting than regular honey. I’ve been using the manuka honey and jojoba oil mixture for a few months now (sometimes adding lemon and aloe vera) and although I’ve only seen minor improvements as far as breaking out, I want to keep using it because it doesn’t irritate my face. I LOVE the jojoba oil because it leaves my face feeling really soft and smooth.. even if there are some breakouts. I feel like it helps soothe them a bit. For me, I’m just going to keep doing what I’ve been doing with the eating healthy, exercising, laughing a lot and sleeping well. I recently went on vacation to Thailand and fell in LOVE with this little island called Koh Phagan and scuba diving so much so that I want to move there in the fall. The food is mostly curries and stir fries, the people there are some of the friendliest, laid back people I’ve ever met, a million stars come out at night, THE SUN SHINES all day and the ocean is at your fingertips (sooo different from China)! I made friends with the other divers instantly and immediately felt at home on this little sandy island. Have you ever felt that way about a place, that it made you so completely content and happy without you having to try at all? Anyways, my acne cleared up somewhat but kept breaking out mostly on my chin. Also, I’ve noticed that my periods are getting shorter and shorter, down to two days now. I’m going to bring all of my past “regular doctor” diagnoses to a ND over the summer when I visit Florida and see if he can get to the root of the problem. More than likely, it’s an issue with digestion that I’m not able to pinpoint or something to do with hormones. So, point is.. the MANUKA HONEY STAYS! 🙂 And I’m really excited to start looking at jobs in Thailand! Looking forward to the Candida Cleanse this February! This sounds so positive and beautiful, your enthusiasm is coming out of your post here into my room in Germany and made me smile. I love Ko Phangan! (For any of you who don’t know the magic of the Thai islands, just the movie The Beach!). I was there like 6 years ago, went to the Full Moon Party lol. That wasn’t my favourite part though, it was everything that you just described… the stars, the ocean, the beautiful little huts with hammocks on the deck. I went scuba diving there too. I would definitely love to go back there… it’s got that laid back island feel that I really like. Also, I mentioned this on my ‘life story’ article, but when I was on that trip… I spent a year in Australia, and halfway through I went to SE Asia. My acne was stubborn in Australia, but it was fantastic in South East Asia! The acne returned immediately after going back to Australia. I’m still curious about why this was…. I always assumed it was the lack of gluten and dairy in SE Asia, but I don’t know. I think I ate pretty bad in Australia though and drank too much, so it was probably a lack of that too… lol. Either way – my skin definitely liked SE Asia. Hey Reena, that’s cool to hear that someone else’s skin really likes south east asia! I would love to go back there, and I hope to one day. India is actually at the very top of the places that I want to go though, but I’m kind of freaked out because their food is just so bad! They love to cook everything in oils, but it sounds like it’s rare that anyone uses the traditional ghee butter anymore, they just use tons of rancid vegetable oils, boil their veggies to death, and that.. yeah… veggies are heavily sprayed with pesticides (like a lot more than here), chicken and eggs are from battery cages, the milk isn’t very good …. etc. And in the north, they eat a lot of wheat, not rice. Anyway… …….. I don’t want this to keep me from going there – I think if I do go it will be a huge lesson in just letting GO!! I mean how do I know the food is really any worse than South East Asia? Maybe they use a lot of rancid oils too just like India (and here)? Maybe the humidity in India would also deliver some magically beautiful skin? Who knows! I have been using Manuka honey as a mask once a day and a face wash once a day for 6 weeks now. I tried using Jojoba oil along with it and it seemed to make my face feel too oily and I did break out some. I switched to Kukui Nut Oil and it has been fantastic. I used to mainly get cystic acne on my chin. My chin has cleared up and I am getting smaller acne all over my forehead. Its a mystery to me but I will continue to use Manuka honey and Kukui Nut Oil because for the first time in a long time my face doesn’t hurt. My face feels soft and my scars seem to be fading. Overall I am pleased and would recommend it. I would just like to post on here that I started using raw honey, just straight raw honey not the manuka kind, and at first my face got horribly broken out. I was a little worried that the honey was causing it and that if I kept with the system it would only get worse. But I read that honey gets rid of toxins deep down in your skin, so I kept with it. The type of break outs I was getting were tons and tons of little whiteheads and bumps all over. When I would wash my skin if felt like I was rubbing water over sandpaper. **HOWEVER** I kept with the honey thinking that it was maybe a purging stage, and my skin has cleared up DRAMATICALLY!! I was skeptical to be honest that it would offer relief, but my skin feels so soft and looks so much clearer, and even my complexion is even, which it has never been since high school. I even feel confident to go out without wearing make up. I did not use the jojoba oil, but I have been using lemon juice at night to dry out any active spots and that has seemed to work really well in tandem with the honey. Hopefully this will relieve anyones worries if you just started using honey. I cannot speak for the manuka, though I may try it and see if that gets even better results. But I encourage anyone to try this method. I would also encourage healthy diet like Tracy said and to drink LOTS OF WATER with it, I think that has been a huge factor too. But seriously, anyone who feels defeated by acne, like I was feeling before, I cleared mine by following Tracy’s organic and healthy advice, WITHOUT acutane or any other chemical harsh treatments. You can too!I’m serious about this, I don’t normally comment on things like this but it has been soo helpful and I want everyone to experience this confidence like me (: Goodluck to all of you! And thank you Tracy!! thanks for sharing your experience! I’ve been using raw honey (also not the manuka kind) for 3 days now and I got a lot of small whiteheads too. I really hope this will pass! Did the honey fade your scars too? I started using the Manuka Honeya bout 5 days ago. I did not use it today b/c I too have developed little bumpy acne all over my entire face in places I never had acne before. My forehead is super bumpy and gets really oily throughout the day – to the point it looks like a slathered oil on my forehead – and all over. I’m hoping it is purging and will get better but am nervous it will get worse if I stay with it. Weird thing is when I wake up in the morning my face looks fine for the first 5 mins and then the oil starts. I used the Kukui Nut Oil when I was in Hawaii for sunburns. It’s awesome! Where do you get yours? I haven’t seen it anywhere other than Hawaii, where it was everywhere! I get mine from http://www.vitacost.com I love that site for all sorts of things. They have good prices and great customer service. I started using raw, organic honey to wash my face about a year and a half ago when I had really, really bad cystic acne. I stopped eating gluten at the same time, and the combination of eating more veggies and not using chemicals on my face dramatically cleared my skin. I am now doing the GAPS diet (for about 3 weeks now), and I think the elimination of sugar and grains specifically has helped a lot too. I still break out, but it is mild, and my break outs are way less inflamed. In the last 3 weeks, I have switched to Manuka honey, and I have only seen improvements. My skin is usually dry, and honey (whether manuka or regular) works so well, I don’t even need to use moisturizer. As for the jojoba oil, I’ve tried it many different times, and every time it makes my skin break out a lot and it never gets better. My skin doesn’t seem to like it, or any other moistuizers for that matter. Very strange, since I have dry skin. So for now, I just use Alba un-petroleum jelly to remove my make-up, and honey to wash my face morning and night. Thank you for suggesting GAPS earlier. I have heard of it before, but never really looked into it. It seems to be a very good diet for me to be on, and I even convinced my older brother to go on it too (he was having digestive problems) and we both love it! Hey I’m really glad you’re liking the GAPS diet! I seem to have persistent gut problems no matter what I eat, and I really think I need to do the intro diet at some point just to reset things…. did you do the whole intro diet, or just jump into the full GAPs? Okay, I love the whole procedure. I a not using moisturizers or other things anymore, except for a natural clay mask every now and then. I still have coffee, I sometimes have a tiny cigarette when being together with my acting group, even though I normally don’t smoke. Oh and love red wine. I am following the diet but am weak when it comes to coffee and red wine. I am having it rarely, though. Another thing is – I bought Manuka Honey, yes, however, it’s not exactly the one you suggested with the UMF something. It is just some honey but at least Manuka. I add a few tiny drops of tea tree oil to it. Sooo… it helped me loads. What I love about the oil is: Whily hemp oil still left my face greasy – and I used to have such a big problem with oily skin – the oilyness seems to be completely gone! Even in the evening. My face is shine free all day and I love it. It also helps me controlling the acne, however, my skin seems to change within days. It happens that my forehead is covered with tiny tiny whiteheads all over. Sometimes, washing it twice or even thrice a day with the mixture makes them disappear. When I started using Manuka (Wedderspoon OMA 16+), it did break me out slightly. Which surprised me because I had been using raw organic hone before that with no problems. But I kept at it, and the breakouts I attributed to the honey did stop. I moisturize with jojoba oil from High on Health’s store and that is working great now in the winter (during the summer, my skin didn’t like jojoba much). I often put on aloe vera gel after the honey and jojoba. Since I’ve stopped using harsh chemicals (salicylic acid and benzoyl peroxide) on my face, and have switched to this natural cleansing and moisturizing routine, my skin is barely oily at all anymore. Also, my cystic acne has stopped, though I still do get inflammations, but I know they are due to internal factors, not external. Yes, manuka helps by making my skin healthy, soft and good at healing. There was a brief initial breakout period (2-3 weeks), but that stopped as I persisted. I switched to Manuka honey and Jojoba oil just over a month ago now. I’m not really sure what causes my acne but I have to say that I love the new routine. I watched your video on How to Wash Your Face to Prevent Acne and pretty much follow what you do (expect that I rarely wear make up so I usually do the morning routine again at night) – I especially love the idea of applying excess oil to your wet face then washing off! It really does leave your skin feeling wonderful without being oily. The first couple of days I did notice my skin feeling a little more bumpy than usual, especially on my T Zone – I guessed it was while my skin was adjusting to the oil / lack of washing! I actually have quite dry skin overall which seems to be unusual for acne suffers. But, a few days later my skin cleared up – I still get the occasional breakout, usually due to other things as I can usually tell when I’m about to and guess why e.g. too much instant coffee really affects me! I keep using it because it makes my skin feel lovely, it doesn’t feel tight, stripped or unnaturally greasy like some of the creams make your skin feel. I’m less blotchy and my skin just feels healthy. It isn’t a ‘cure all’ solution but the honey really seems to help your skin bounce back and the oil is really replenishing. I don’t think I’d ever go back. You also mention that it’s expensive – it’s actually a LOAD cheaper than most of the ‘specialist skin care’ routines out here in the UK e.g. Clinique, Clarins etc and WAY less fiddly AND so simple in the morning when you’re in a rush! For a long term acne sufferer who really has tried it all it’s actually a lot cheaper than sooo many options. I use a spoon to scoop honey from my jar. Carli this is a great idea! I never really thought about doing that before but it makes complete sense. Hand touch so many things during the day before we wash our faces. Thank you so much for helping me improve my skin routine!! I have been using organic local honey as a wash and jojoba as a moisturizer coming up on a year now and I love the honey, but still am not sure about the jojoba. I just moved from a humid climate to a very very dry climate and the jojoba doesn’t give my skin enough moisture, it is driving me crazy because it is so extremely dry and flakey and then it will get really oily. I started to add some lavender to the jojoba hoping that it would balance out, but it has not and then my skin started to become very very congested and it seemed like every pore was a blackhead….uuugggg so frustrating! I will always stick with the honey as a wash, but am currently seeking a new moisturizer. i have been using the manuka honey and jojoba oil for over two months. I love the way my face feels, but when i put too much oil on i get really tiny bumps on the tops of my cheek bones and temples. I feel like they might be little zits but they never come to a head, they just go away when i don’t use the oil. i’m starting to think it might be a little allergic reaction or something. ok so this is kind of weird but I noticed that the manuka honey work much better for my skin when I applied it to my face DRY. In the beginning I was applying it to my face after I already splashed it with some water. Then I watched your face wash tutorial, Tracy, and saw that you applied it to your skin dry. So I decided to try it that way and it did make a considerable difference in my skins texture (much smoother) and color (reduced redness) also fewer blemishes (man o man do I love manuka honey). When I apply it to my wet skin it almost is like the honey does not stick to my skin through the water. So applying to dry skin is definitely the way to go 🙂 Thank you for making that tutorial and for keeping such an awesome blog Tracy, you rock. Hey Christa, that’s really interesting that you say it worked so much better when you put it directly on the skin! I just do that because it seemed to stick better, it never crossed my mind it would actually work better that way….. thanks for that! i loved using honey (never tried manuka honey)because of the texture and sweetness and healing benefits. what a wonderful panacea. but after getting food allergy testing, and doing a food diary, i noticed i was sensitive when eating honey, and removed it from my diet and face washing routine, and have cleared up significantly. now i use a pinch of baking soda in a lot of water to wash my face, and sesame oil to moisturize. for me, sesame oil is neither better nor worse on my skin than jojoba, but it’s cheaper,and i prefer it. the lessons i recieve from you are: learn how to work WITH your body, and to listen to it’s messages. you give great examples of what works for you, and that is awesome and inspires in me creativity to figure out what works for me, though it may be different from you. THE NUMBER ONE thing that significantly helped me was food allergy testing, which i had never thought about before finding your blog. THANK YOU! IT CHANGED MY LIFE! hey tracy, i’ve been using the manuka honey and jojoba oil for a couple of months and i love it! it didn’t do mircles to my face or anything but i didn’t break out real terribly either. but for the first time in years my face is not dry during the winter!!!!!!!!!!!! in my last batch i put some apple cider Vinegar in it and i really like the way my face feels. I’ve been reading your blog for about a half year and I just love it. I’m using honey from grocery store and I don’t know if it is raw here in Europe? It’s doing well on my skin thought. I also use organic jojoba oil, aloe vera and tea tree. But I’m having terrible breakout on my face and occasionally on back, chest and even neck, especially around my period time. I’m 23 yrs old and I’m having moderate acne around eight years now 🙁 I’ve never been to dermatologist. I’m wearing mineral makeup rarely. I sleep enough, exercise, daily drinking 2 L water, not smoking or drinking alcohol, I’m gentle with my skin routine, trying not to feel bad about my skin; but I don’t eat well. I live with my parents, we eat together and buy food together. I’m student, so I don’t have money to buy organic vegetables, fruit and other stuff. I eat too much bread and sugar, some dairy products. What can I do about it? How to stop eating that “ordinary food”? I don’t have money and strong will. I feel like I’m never going to have perfect clear skin and I’m very sad. Can you give me some advice? I’m also doing “no shampoo experiment”. Hey Tracy, I’ve been using manuka honey for almost exactly a year to wash my face and it is AMAZING for me. I don’t think I had an initial break out from using manuka honey but my skin went from pretty bad to almost perfectly clear. But like you said, external skincare isn’t the only factor. I have also added vitex and DIM which I feel have both helped my hormonal acne and I eat a fairly fairly well. I don’t use jojoba oil but my roommate uses it at night in the winter for her dry skin and she likes it. But, she also has perfect skin to begin with! I was wondering if all your advice for acne is the same for eczema, i have pretty bad eczema all down my neck i was wondering if the manuka honey would help it? I also have really bad acne all over my back and my chest area, would you know of anything that could help it? and if your healthy eating tips would help it too and my eczema? i am just new to your webstie, i found you on youtube, i think your site is great, there is some really useful stuff on here. I just want to get rid of all my skin irritation, it is so sore and itchy. From time to time, I’ve suffered with pretty bad eczema all over my right hand, that responds the exact same to everything I do internally for my acne. And it responded very well to a candida cleanse the last time I had a flare up. However, I don’t specifically know about external remedies although I imagine all the ones for acne would help in the same way for eczema. It was too hard to put anything on my hand, so I never bothered experimenting. Hi Katie, you should look into oasis skin care products made in New Zealand, they have a product called rhino repair cream which had very good reviews from others who have suffered eczema, main ingredient is Manuka honey. Just google oasis skin care new zealand. Hi love this blog and find it so interesting!! Unfortunately after using jojoba oil for a week or two it broke me out quite badly, I was getting pimples and white heads in place I’ve never broken out ever before so I knew something was wrong! I found it difficult to cope with the breakouts and stopped using the jojoba oil, I was gutted as I really wanted it to work for me. After reading the comments above Im tempted to give it another whirl but scared it will break me out again. I wonder was it a bad reaction or just a purging period? I really really think that whiteheads are a normal and healthy purging reaction to jojoba oil. That happened to me just as you describe but to a lesser extent. I’m the opposite of an expert, but in my own personal experience and also as Fran has said, there’s just this period of purging, which is marked by the strange locations of the spots and the way they come to a white head like that… yuck. I’ve never had problems with Manuka honey but when I do the routine with jojoba oil it’s break me out. However, when I put a VERY small amount (2 drops for all my face) of jojoba oil after drying me face with a towel (after my shower) it seems to be OK. I’m still testing it but I guess I need to use jojoba very carefully. Yes it can be an issue if you go overboard with it I’ve heard… thats why I like rinsing it and patting my face with a towel afterward so it doesn’t leave much. Is that what you were doing and it was still too much? Yes, I was doing the rinsing method (like you did on your video) but I guess it was too much oil for my skin. I’ve been using organic wild neem oil for a week every night. I mix 2 drops of neem with pure aloe vera gel (I bought a plant for my skin 🙂 and put it all over my face. My skin is sooooo soft in the morning. I love it. However, I do not suggest to use neem oil during the day because of the strong smell. Have you ever try this oil ? No I haven’t tried it! Is it more of a thick oil like olive or jojoba, or like a watery oil kind of like tea tree oil? It’s more like jojoba oil and you also need to use a very small amount so it last long! Do you know where I can buy the Manuka Honey you use that will be shipped to Canada? I tried to use your link to amazon but it keeps telling me they cannot ship to my location. Any suggestions would be greatly appreciated! I got mine from a local health food store though, maybe you an find it locally! I am so happy I found your site! I now follow your cleaning regime with Manuka honey & my face has cleared up of both acne & eczema in one month! I already followed the Weston Price method of eating, take fermented cod liver oil & drink water kefir daily. For the last week I also cut dairy & grains (sort of Paleo, but with beans too) & my face is beautiful, so I’ll be interested to see if adding those things back in change things. Thank you so much for everything you share on here! Yay!!! That’s what I like to hear – I’m so happy you’ve gotten great results Erin! I’ve just taken my Mum out in my car, and she commented on my skin colour! It turns out that the honey (and/or) jojoba oil is staining my skin quite bad! – I look like I have jaundice apparently! (my Brother thought I was using fake tan at one point! Admittedly , I do leave it on for over 30 minutes almost every night which may the problem, but I really look look orange! How can I reduce the tint in my skin? Lemon juice mask? Should I use a different oil? I’ve attached a image of the colour of the products I’m using. The honey looks really dark, but the jojoba is mild in comparison. (and I’ve recently stocked up on manuka honey, 🙁 ) Didn’t you use a gel instead of the actual honey at one point? Is it just as good but a lot lighter in colour? Wow, really? I had no idea it would do that. I’ve never heard of this or heard anyone else complain about that with either the jojoba or the honey. The honey you’re using does look a lot darker than the stuff I use though (no I’ve never used a gel, just honey). I am experiencing the same problem. Only I am using the Wedderspoon brand, so I don’t look completely orange, but it is definitely noticeable. This skin discoloration wouldn’t be permanent would it? Please let me know how things turned out for you. Is this what you used in your “How I was my face to prevent Acne video”? In the video, the honey (or jelly) looks almost clear which would be much better for me, now that people have said it’s staining my skin! Hi, I discovered this blog about 3 weeks ago and found it very interesting as I had just started using manuka honey in ma daily cleansing routine. Since then I have been using manuka honey everyday to cleanse. I stil use my facewash first to get rid of my make up and then apply honey after for about 5 minutes before washing off. However, since I have been using the honey I now have large red underthe skin spots all over my face! I simply don’t know what to do! I love your jojoba oil and manuka honey cleaning routine and have been using it ever since reading about it on the blog. I think the breakouts are related to the strength of manuka honey used. For example some people may be used extra strong umf 20+ honey whereas someone else may be using umf 10+. I think it would be good for people suffering breakouts to also post the umf of honey they are using as they may want to switch to a milder version. I have to let you know I switched to using Manuka Honey 16+ UMF and jojoba and at first it was like a kick in the pants to my acne. It started clearing up immensely the first 3 days and then it slowed and my face started breaking out more. I then realized it was pulling out the junk deep in my skin. It has been a month and a half but my skin is almost completely cleared. Let me tell you though before I started my face looked like my skin threw up on it. It was horrible. So I would advise anyone to give it time since everyone is different. Your face is layers deep and depending on the person it may take time to get everything underneath to the surface to clear it up. I love the regimen and would never switch to anything else. I have family and friends using it now too along with the jojoba and it has been very effective for them as well. Hey that’s really awesome that you stuck it out and it worked out for you!! Thanks for sharing your experience with it. Thank you for this community of sharing, I see so much support within here and it’s so amazing. I have since started to make changes in my lifestyle and diet, and it feels like the body definitely likes it! I just started using manuka-jojoba yesterday, will let you guys know how it goes. I wish to clarify on the words “If your body is unhappy and wants you to get acne…” This gives a misleading impression that the body has malignant intent, which is very untrue. Our body loves us and wants the best for us, and we have to learn to listen to it. Imagine that are driving your car and some signals on the dashboard can’t seem to stop blinking. What do you do? c) try to get the problem to go away by targeting those lights? Try looking at it that way for a while. You will feel grateful to your body for trying to help you. Imagine if our body suffers silently and dumps us with a huge disease only when it’s too late! I too, am learning to understand the symptoms. Maybe the car needs refueling, maybe it’s a nut stuck in the bonnet, maybe it’s too hot and needs to be cooled… maybe you need to start/stop taking some food, maybe you need more rest, etc. Our acne is simply just a symptom. I’m taking this journey of healing my skin and health as an opportunity to understanding my body. All the best to you beautiful people! Manuka honey worked to heal painful cysts and horribly broken skin from really big acne! So in a moment of weakness I found acne.org and decided bp was a cure for my moderate acne problems. I slathered the full amount on for about a month and kept getting pimples along with redness flakes and rather unsightly swelling. To combat the side effects I unknowingly tried a moisturizer from Neutrogena called sensitive skin. The moisturizer gave me cysts!! And HUGE pimples that would turn yellow and crust before falling off. I stopped the mosturizer, tried a new one, experienced extreme burning from the bp, and then found this website and quit both while also revamping my diet to all whole foods and water with minimal sugar. My cysts persisted, I suspect because the acne just kept spreading each time a huge one would accidentally pop and then start bleeding everywhere. Anyway, long post, but I wanted to explain why I think Im still getting bad pimples despite using the honey. Two weeks ago I switched to washing with raw honey and that helped with the redness and greasyness a lot! though it made me break out in tiny zits initially. Then a week ago I switched to Manuka Honey and as an experiment I piled heaps of honey (as much as I could get without dripping) on the left side of my face and painstakingly slept on my back for a couple nights. I felt my pillow every morning to make sure I wasn’t rolling over in the night. And sometimes it was a bit sticky but I dont think my skin with the cysts actually touched the pillow. And it is amazing!!! I have new big zits but the really really bad cysts have gone down to redish scars and haven’t come back up as new pimples (a problem I was having)! On the other side of my face which I was still using light amounts of BP on instead of honey, the equivalent size of cysts were still red inflamed and growing. Now after a week of nothing but improvement on the honey side I’ve started using it on the right side too. Before trying the honey I was so desperate to cure my sudden, painful, severe acne that I was considering antibiotics. It hurt so bad I couldn’t concentrate on anything. Now I think I’ll give honey a try for a couple more weeks since it makes the severe acne more manageable and TONS less painful! I never normally leave comments but really felt like i needed to share my experience with manuka honey. I used it for 2 nights and my skin broke out in a horrible red spotty rash. It’s extremly itchy and sore and I look completly horrid!I’m wodering how long this will take to go away?! I’ve stopped using the honey because i’m terrified my skin will get worse (if dats even possible)! !I wish there was a quick fix to bad skin! Hi Louise – I’m so sorry the honey didn’t work out for you very well 🙁 What are you using now? I found your website a week ago and it has really made a huge positive impact in my attitude towards my acne problem. I also purchased your e-book and I will do my best to follow it. I used BP for about three years then quit cold turkey (BIG mistake); I’m now having the worse break out of my life. I have been using tea tree oil for a few weeks and it has helped some. I bought the Manuka Honey you recommend and used it yesterday instead of the tea tree oil. Well, today I have about three painful cysts on my forehead :(. I’m not sure what to make of this. Is it better for me to stick with the honey? Go back to the tea tree oil? Or perhaps use both the honey And the tea tree oil? Any advice would be appreciated, thanks. Hi Lorena – sorry to hear this. Are cysts normal for you? I can’t say for sure what’s going on, but if you think this breakout is way out of the ordinary, perhaps it’s got something to do with the honey. In the end, only you can decide which route to take! Just started using the honey method a couple of days ago also with the jojoba oil and Im breaking out terribly and I almost stop doing it lol This article really put things in perspective for me so thank you I will give my skin time and really see how it will work for me. Stage 1: I cleaned up my diet (cut processed foods and milk/cheese products). I coincidentally began using a turmeric/plant-based cleanser from India (purchased cheaply here in California), which my skin really seemed to like. I also stopped using my retin-A and moisturizer at this time, and didn’t seem to have any repercussions. Stage 2: I got excited when I realized my skin wasn’t producing any more acne. So when I ran out of my Indian cleanser, I just bought raw organic honey and jojoba oil, all in good faith. Stage 5: But I pressed on. Nothing new arose, so I kept my faith. To my astonishment, 48 hours after I first noticed the two manuka spots getting tender and inflamed, they had already begun to recede by about 75% in size, and were far less painful. They didn’t come to a head, but they were certainly a bummer. Hi Tracy! I know this post is super old, and the last post here was a couple months ago… but I’ve just started using raw organic honey on my face and jojoba oil, and I’m loving it! My face has never felt so soft, and my skin tone is evening out for the first time since I hit puberty!!! I’m especially excited about that because I’ve had red coming down the sides of my nose down to my mouth for as long as I can remember it seems, and it’s starting to look less noticeable. My nose has started getting red in the past 3 or 4 months too, and that seems to be going away! My chin is less red as well. I am loving the way my face looks. I was using Yes to Tomatoes 95% natural cleanser with salicylic acid, so maybe that’s why I haven’t gotten a purging period? I also only wash with the honey and jojoba oil at night to take the days dirt off, I leave my face in the morning. Unfortunately, the acne that I do still get, I pick at. So that and my diet are the last things I need to work on. At least I’ve finally found my favourite face cleaning regime! Wow! Good for you – those are some amazing changes Hanz…. keep it up!! Yes, please don’t get discouraged by getting zits in the early days… with that many dramatic changes, it’s going to be normal for it to get a little bit worse before it gets better with a few detox/healing crisis zits. 6 days is really nothing – lots of changes have to go on under the surface before improvement shows on your skin – so please keep going and don’t get discouraged!!! You’re doing great!! Hey guys, I have also been using manuka honey as a cleanser and coconut oil as a moisteriser (coconut oil has amazing properties that help anything from balancing the ph of your skin to dealing with digestion problems). It’s only been 2 days of using manuka and I do have a rash and tons of small whiteheads but I know it will pass. I also notice that my clogged pores seem opened because the white gunk is just staring at me in my face but I’m just leaving them there. I actually wanted to add something really interesting. I never had an acne problem growing up- pimples here and there yes but overall great skin until I had a root canal treatment done last year. Anyone who has had any dentl work done I.e mercury/silver fillings or root canal, I’d highly advice you to check “root canal cover up” on google as it an cause anything from skin problems to candida. I’m hoping to have my extracted by a holistic dentist and praying that my skin and other health issues dissipates after that. Hi Karen – that’s interesting about the root canal. I do have a mercury filling which I wish I didn’t have. I would like to have it removed when I can afford it. I wonder if it could have anything to do with my acne? I had all sorts of problems when my dentist decided to switch my mercury fillings to non-mercury. Some of the filling gets ingested in this process. It’s almost safer to leave them. Trying to recover a painless mouth, I went to a holistic dentist after and he said the same thing. What problems are you having? pain in your mouth? or other things as well? I do recall him saying that it was better left than moved if there’s no issue. But perhaps I misunderstood. All of the teeth that were redone have sensitivity to temperature. Two of the teeth cause me crazy pain. I had a root canal on one of them. I have digestive and hormonal issues that have increased since then but I don’t really know if it’s correlated. Thanks for everything!! You really have me thinking things through! I just don’t know what to do. I think there is two types of acne, the one with big deep pimples/marks and the one with full of littles ones especially breakouts and normally oily skin (which I have). The kind of acne they don’t want to give acutane straight ahead. I have pimples like that since i’m 11 (now 23!!) and still can’t get rid of it. My friend who had a more “deeper” acne told me about this website and honey technic and i’ve been trying it over a month now and it’s just not working at all. I wake up with 4 white pimples on the chin every morning, at night i have some new coming up and I have loads more on the cheeks and neck. I just don’t know what to do. I don’t want to go back to the chemical treatment that work for a couple of weeks and then stop … and I don’t want acutane. Thanks for letting me know if I’m not the only and what I could do and try to improve since I feel really bad working in public more than ever. I feel im back in my teenage years again .. Sorry to hear about your skin troubles 🙁 Are you getting more acne now, or was this the same amount of acne you were getting before using manuka honey? I’m getting more than before … is it possible my manuka is not good? Cause it’s not written organic or non-pasteurized? At first my skin was getting a bit better (not significantly) but more “natural” when I was using non-pasteurized regular honey but I wonder if it would have get as worse as now if I would have simply continue with the same …? I have had success with oils, including jojoba, but my skin does not like honey. Manuka causes redness and irritation and seems to increase my main skin problem (sebhorreic dermatitus). I believe this is because seb derm is caused by fungus and it grows on sugar. Some people seem to have success controlling Seb Derm with honey but I would recommend people are careful about using it if they have seb derm. Hi Tracy.Its good to see all the comments.Can you please tell how many times to use manuka honey? can i only use manuka honey? will it work on all types of scars? Thanks for the information tracy. Can you lemme know Manuka honey UMF10 or UMF20 is good.I’m only 23yrs of old.How long to be used? Thank you,that was very informative. One more thing tracy,is Claridges Manuka Honey Active 10+ same as Manuka honey UMF10? I’ve been using manuka honey for over two months now and my skin has never been better. Just to note: I have oily, acne-prone skin on my forehead and chin. Initially, I noticed that the manuka honey (Manuka Health MGO 400) would bring the inflammation and redness of my acne down but would turn my black/whiteheads into pustules. The first thought that ran through my head was “This is making me breakout.” but I stuck with it and added lemon and cinnamon to the manuka as an overnight spot treatment. 2. Cut down on how frequently I wash my face; I immediately stopped using the commercial products that I thought were helping me. I aim for washing once a day, but two times would be the maximum! 3. I’m in the process of making less trips to the mirror to pick and pop at my pimples; and it seems to be going well. 5. I’ve been going out more. I used to just stay home because of how inflamed my skin was; which would inevitably leave me standing in front of the mirror where I would pick and pop my pimples, making me even more stressed out and anxious. Going out helps me keep my perspective on things that really matter. Those simple changes helped my skin immensely! As I’ve said above, my skin has never been this great since before I started getting mild to moderate acne. I’ve recently purchased jojoba oil from Mountain Rose Herbs and Wedderspoon’s Active 16+ Manuka Honey. I mix the jojoba oil and manuka for my face wash and leave it on for 30 minutes or more (as Tracy has suggested) and I use just the honey has a spot treatment overnight. I have been using honey for two and a half weeks. I usually wash my face with plain water in the a.m. and leave honey on my face for 10-15 minutes in the shower in the evenings. 1. On the first week, my forehead got less oily and the whiteheads started drying up. The really shiny spot in between my eyebrows got less shiny, too. But it seemed like it had no effect on the blackheads on my nose, but they weren’t getting worse or anything. 2. Then, starting the second week, I got little skin colored bumps on the creases next to my nose, which I took as purging since I usually just have big pores there. My forehead was making more improvement though, and glowed instead of shined. I still had some pesky bumps here and there but I was pretty happy. 2.3. Just three days ago, something weird has been happening to my nose. It looks smooth and matte after I wash my face or shower but about 30 minutes after, it looks super oily. But when I dab it with blotting paper, no oil comes out. Also, I have been waking up to find my nose, the creases next to it, and the spot between my eyebrows getting oilier. And it has nothing to do with my period. After I wake up, I put some honey on it. It helped with the spot between my eyebrows and the creases, but my nose just stayed the same: shiny but not oily. The same thing happened after my shower when I put honey on it. Now, I didn’t quit chemical stuff cold turkey: I changed to cetaphil for 2 weeks, then to just water for about 3 weeks, and then to honey. And my skin is not sensitive. 2.4. So two days ago, I just washed my face with water in the morning, but my nose became shiny after that. I do not scrub, I rub gently in circular motions. 2.5. Yesterday, I did not wash my face in the morning and just blotted off the oil. My nose looked pretty decent if you ignored the blackheads. But my nose got shiny 30 minutes after my shower with honey in the evening. Again, I could not find a trace of oil. 2.6. Today, I did a honey mask in the morning but it looks the same. I eat healthy; Korean food, a lot of fruit, and dairy ( since I do not break out on it) and the occasional sweet. My acne is usually not inflamed. I usually get tiny bumps on my forehead but I think it’s partly from my hair because I don’t any on my right forehead ( my hair is parted on the left). But for the bumps to go away, they need to turn into angry red pimples. I have combination skin and a lot of blackheads on my nose. My forehead just looks shiny but has tiny pores and looks perfect where it’s not covered in bumps: there’s not much oil when I blot it. My nose has blackheads. My A zone has big pores and minuscule bumps here and there and tends to be a bit shiny when I wake up. After used honey, my forehead got better but my nose got worse. Do you think it’s purging or I am using too much honey or something? I’ve just started using unprocessed, organic honey ( not manuka) a little out of my price range 😛 I have found I’m breaking out, lots of little pimples and bumps- really concentrated around my nose area. I have sensitive, dry skin. Using Argon oil as a moisturizer after I wash my face with honey. I don’t know if the argon oil agree’s with my skin, and wondering if any one has any suggestions for other moisturizers for dry-acne prone skin. I just changed my eating habits from vegetarian to raw vegan. I have to say I saw a change in my skin, within a couple of weeks. Skin has more of a healthy glow, more of a even complexion, more color in my lips, and less break outs. Now I have changed my chemical cleanser to honey and my skin is breaking out lots, and just seems dull. I will say that it does feel less dry and more moisturized. I’ve used benzoyl peroxide (5-10%) for several years. It seemed to be the only topical thing that consistently kept my acne away (although it made my face look so pale and dead). I’ve read since that it contains free radicals… so it’s not exactly what I want to be drowning my face twice a day. I stopped using it when I went on birth control pills, because that cleared my acne up on its own. However, I realized that the pill made me BATSHIT INSANE and generally unhappy, so I went off of it (and if I wasn’t insane, I just felt like a watered down version of myself). Since going off of it, I began using Manuka honey. Haven’t had any new pimples since beginning (it’s been a couple of weeks), which is pretty out of character for me; usually if I don’t use a BP treatment, I break out within a few days. But yeah, I’m thinking you’re right about the stress playing a bigger role in acne than we realize. Looking back, my times of worst acne correlate with my times of most stress. I have just started using home made tomato and yogurt mask on my face twice a day and my skin is noticeably clearer. I was thinking of changing the routine to tomato/yogurt in the day and manuka honey as cleanser and mask at night. Would it be harmful to my face if i try to “force” so many natural ingredients to it? That should be fine to use that. Although your skin is really the only one who knows the true answer to your question. If it seems to be working though, then go with it! I just bought your online book and also purchased the Manuka Honey, it actually just arrived yesterday! Today in the shower I used the honey mixed with a small amount of my Cetaphil gentle skin cleanser, do you think that was a safe way to use it? I was afraid that the honey alone wouldn’t be as effective. Let me know what you think, thanks! So far so good! I ditched the Cetaphil and ate a really healthy diet today so today marks day one! As gross as it sounds… Do you think some people could be having breakouts from using and licking their fingers to remove some of the honey and then washing their face afterwards? Since it’s kinda expensive, some people may feel it’s a waste to let it all go down the drain. I just bought organic raw honey so I can try out the honey cleansing/mask method in the mornings. Do you think instead of washing with jojoba oil after, is it alright to use grapeseed oil instead? So with the grapeseed oil, do you think I should still damp my face first and then putting the oils just like the way you did yours? So, as of two days ago, I quit using Proativ because it was making my face worse then it was before. I used it for a whole year and just..no..lol. It made my face so dry and I felt like I always needed to put something on my face for it not to brake out. I have a mild case of acne. I brake out all around my chin,mouth, and sometimes on my forehead..so that is just awesome lol. Anyways, I was searching the internet yesterday trying to find something that is not full of Chemicals and I came across your videos on Youtube! The first one I saw was your skin routine and it blow my mind…as silly as that sounds lol! I only tired one organic thing for my face and that was back in 2010. It was the lemon and organic sugar scrub..yeah..it dried my face out so bad and made me brake out even more lol! So I have been iffy on trying anything organic. Proactiv was kinda sorta my safety blanket. I knew when I got off this, my face was going to get so mad and brake out. But I “maned up” and just told myself “I need to do this for face! It deserves some amazingness!”. So as of today I started washing my face with Honey. I don’t have the Manuka Honey, But I do have Organic honey (hopefully it works as well as the Hanuka honey until I can get some lol). So of course this only being my second day off Proactiv, I am starting too brake out really bad. But after leaving the honey on for an hour, I could see a difference in my skin. My skin felt naturally soft! I am no where close for my face to be clear yet..only my first day trying it lol! But like you said “it wont work over night”. So I am going to give it a few months and see where it takes me. At night time for now I am just putting Tea Tree oil on my pimples until I can get some Jojoba Oil! I also read that washing your face once a week with Coconut water is amazing as well. Have you every tried that? Yes, regular raw organic honey is great as well. You only need a little patience, but you already know that! 😉 Nothing worth having was ever achieved in an instant. And there‘ll probably be some kind of trial and error, too. Everyone has a different holy grail, and you have to find it first. So you‘re on the right track!!! I switched to Manukah cold turkey, coming off of benzoil peroxide. I knew there would be a rough transition period, but after a couple months, when it didn’t get any better, I got scared. I looked around online and most people who had done the same things were saying it was years later and their skin still hadn’t gotten completely over it. So I went back to it and now I’m weaning off it like suggested by the lovely Love Vitamin. I also use witch hazel, tea tree oil, jojoba oil, and a Moroccan clay mask once a week. So far my skin is definitely doing better, but it’s by no means clear. I’d say maybe 60%-70% clear (as opposed to ten 10% it was when I was broken out). I still use Manukah honey mask every morning and night because it makes my skin smooth and soothes the cystic acne that I’ve noticed I only get while on benzoil peroxide. (hmmm… fishy….) All it all, I think Manukah is great. I’ve just damaged my skin too badly to be able to go cold-turkey. Sticky honey love to all you love vitamins out there! Months of experimenting with honey, egg whites and apple cider vinegar, I am happy and proud to say that my skin is clearing up, looking beautiful and feeling amazing! I hardly ever wear face makeup anymore and I couldn’t be happier. Thank you, Tracy! You have changed my life. I have been using the manuka honey for almost 2 months. I thought it was clearing and doing good but now its large cystic acne on my face! It hurts too. I’m so frustrated and depressed! I have done everything by the book and just had a hormonal test done which I’m still waiting for results. I don’t know what to do now? I feel like giving up and going back to antibiotics. I have done the candida cleanse and I feel like I will be going backwards if I go back on the antibiotic. What should I do now?? Wait to see what your hormone test says! How did you get it done? Blood test at the doctors? Did you start all that stuff at once a couple weeks ago, or was the honey the only thing you added in? I feel like I need to share this immediately because I’ve seen several posts above with people adding tea tree oil to their manuka and having horrible experiences. Dudes and Ladies, IT’S THE TEA TREE OIL!! This is anticeptic, but it can cause major purging in a bad bad way. Especially when you have not corrected what is going on internally. I had an experience a couple of years ago, I had many friends who had success using tea tree oil as spot treatment etc. so I used a product with tea tree all over my face. I was calm for about a week then major explosion! like the worst ever. Like it deformed me. I went running back to the derm who put me on accutane. Wish I never did that, but I was desperate. It cleared me while I was on it, but it is not a cure. Also after I got off it my derm told me I now had to use retin-a for the rest of my life essentially, which I never re-adjusted to. And my cyctic breakouts still kept coming back like clockwork. Mine is definitely hormonal and my breakouts are cyclical. So here’s where I’m at now. Have cut out all processed foods and eat totally organic and gluten free. Right now I’m doing a three week candida diet and am using manuka, which I am getting great results from, but I will have to give a more proper update on that later since it’s only been a couple of weeks. Just wanted to say that diet and correcting hormonal imbalances and detoxing is the first and most important step. After I went through the accutane thing and was sitting at the derm when she gave me the lifetime retin-a sentence, I asked her. “But isn’t all this stuff just masking the underlying cause of my acne? I feel like I’m not getting to the root, the cause of the problem.” She stumbled around and just gave me a blank stare. She was well meaning, but had also told me stuff like diet has nothing to do with my problem. !!!??? and at one point told me when retin-a wasn’t working it was because my face grew a brain !!!??? This is our current medical model. Do you trust it? I sure don’t. So wasn’t planning on sharing all that just yet! but mainly wanted to warn people about the tea tree oil thing because it can seriously mess with you if you aren’t ready for it. I will never use it again even though I have detoxed enough that I may not have that reaction again. I think it is just too harsh for those who are not prepared for it. As far as topical, go as gentle as possible. I also noticed people who are using regular or just raw honey. I had bad experiences doing that but the manuka is different somehow. I’m amazed at how quickly it heals. Dish out the money on the good stuff, it’s worth it! Hello! I just wanted to share with all of you wonderful Love Vitamin readers. I don’t believe tea tree oil is the cause of the horrible breakouts, it’s the quality of the oil/brand that’s being purchased. I was using a tea tree oil that my teacher from beauty school told me to try out and it worked amazingly! It was heal and dry up my inflamed acne. Well I ran out one day and decided to run to Whole Foods and bought an organic tea tree oil, thinking to myself, it should be safe, it’s organic! Well sure enough I used it that night and I know it’s from the oil because I broke out in horrible cystic acne in only the areas that I applied the oil. Thank God I didn’t apply it all over my face. Just one side of my jawline and chin but it was still so horrible! Prior to putting it on I only had a couple tiny bumps so I know it was just a bad reaction! I than repurchased the oil from my teacher which I highly recommend to all of you!!! The brand is doTerra and you can purchase it online. I also bought the lavender oil which I use for taking baths and mix with Epsom salt (feels amazing) and as a spot treatment for inflammation. It’s a bit pricey but soooo worth it!! I’m an esthetician and will be using this in my practice, once I gain more confidence to be honest. I’m currently using Manuka honey sometimes as cleanser but mostly as a mask, hempseed oil to cleanse and moisturize, and tea tree oil/lavender oil/fresh aloe to spot treat. I sometimes mix tea tree oil and or fresh aloe vera to the Manuka honey as a mask. The quality of the oils are superb. My skin has improved soooo much in just a month. Congestion is slowly vanishing which is my main skin concern…if it wasn’t for the horrible tea tree oil reaction my right cheek would be clear minus a bit of hyperpigmentation from previous acne which is a miracle (my left cheek is taking a bit more time but definitely going away and the only time I get inflamed acne (& it rarely occurs) is when I keep scratching at tiny little bumps so that’s all my fault. I got one inflamed pimple a couple of days before my period on my jawline and in 2 days it was gone!! I’m now slowly changing my diet and going to eat more raw foods and going to figure out how to control the hormonal acne, I may try estroblock. Anyway enough of my rambling, this is all a journey for us and is all trial and error to figure out what the root cause is but let’s stay patient and hopeful because it’ll all be worth it in the end when we’ve overcome acne for good!!! Love and blessings to you all! I am new to your blog and have really been absorbing the information. 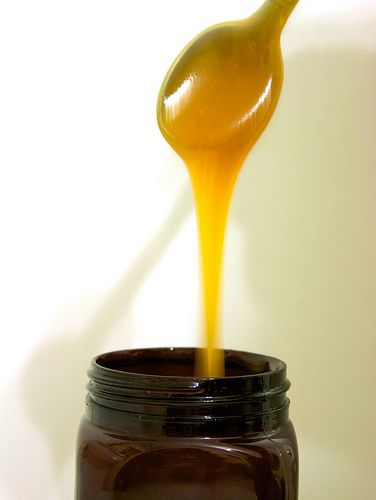 I am wondering what type of honey did you start using when you didn’t want to spend the $40/jar for manuka honey? It just is not in the budget right now to try the manuka even though everything I have read about it makes me want to try it…I just have to wait a bit. Will raw honey help at all? Also…what do you think of the oil cleansing method? I had been trying that and then I started breaking out like CRAZY and felt like I should go into hiding! YIKES! Anyway, thanks for all the great information. If only I could get my teenage daughters to read and follow your advice! You can use any smooth raw honey! As for the oil cleansing method.. I don’t have much of an opinion because as far as I can tell, it works great for some people and terribly for others! What if I skip the Jojoba and just wash with honey? Yep, totally, you don’t have to use the jojoba! So I’ve been using Manuka honey & ACV toner for about a month now and am having the WORST break out along my chin & jaw line. The last two weeks have been so challenging having to go to work every day and face the world while my chin looks like a huge mess – just a bad dry huge cystic mess! I was determined though & decided to stick it out however I broke today because it was just not getting better and has only been spreading – as in to my cheeks and sides! A gal can only take so much. I’ve however really loved using the Manuka honey because it makes me feel like I’m being really gentle however it certainly does not look or feel it :(…it sounds like it heals in the end so I recommend sticking it out to anyone if your breakout isnt that bad but mine has just gotten too much. I still want to retain the honey in my skin care though – do you think I could still use it as a morning face wash and use my proactive at night? That’s my battle plan for the next few days – any suggestions/feedback will be truly appreacited! Hi Nat, so sorry to hear the experiment didn’t work out for you! Yes you can absolutely use honey in the morning and proactive at night, I’m all for modifying things to make it work for you, your skin, and lifestyle. I’ve been a proactiv user for over a decade. My plan is to use honey in conjunction with my proactiv and try to gradually wean my skin off the latter. For myself, I know years of chemical use isn’t going to get better instantly (wouldn’t it be wonderful if it did??!?!) but I remain hopeful. I am doing much research before I make concrete decisions. I just want radiant skin!!! Is that too much to ask!?!? do u ever take manuka internally? I’ve been reading how honey at night can improve sleep but was concerned about the sugar in the honey causing a breakout? Thanks so much for you site and e-book (which I just purchased about a week ago). I have been eating clean for the past few years after getting my allergies tested. I have cut out gluten & dairy which I think has helped my overall health but I’ve still struggled with acne (cystic). I quit washing my face with my normal cleanser (Philosophy’s Purity) and went for the MGO 550+ Manuka Honey. I’ve used it as a cleanser and mask mixed with the lemon/cinnamon. I’m not sure if the breakouts were brewing prior to this switch but I broke out horribly on my chin after the switch. I’ve been super diligent about not picking at my face which I had a bad habit of doing – which has tremendously helped! But I have noticed my forehead has gotten really bumpy since the switch- (an area which I’ve never had a problem with before). I had to breakdown (just once!) and use my other cleanser with a face brush to exfoliate that area and since then it’s been better. I’ve also started taking the Estroblock and applying the MSM cream to my face at night. I have to say, the MSM cream is a miracle worker!! My scars have dramatically smoothed out and I haven’t even been using it a week yet! I’m really hoping that this breakout with fade fast and that it’s just a purging of the toxins. Tracy, I think you should include this information in your article about Manuka for skin. Even though it might work wonders for most people, some people are allergic to honey. They might not know it because while digested, it might not cause any discomfort. Yet once in contact with the skin, it can leave severe burning, redness, itching and swelling. People come here for “life saving” advice because they are desperate to improve their skin condition, and you are somewhat responsible if something adverse happens. It’s not necessary skin freaking out when we change a routine, usually breakouts indicate that something is wrong and it shouldn’t be continued to see if skin will adjust. I agree. I love the idea of detox breakouts, but having been broken out for 20 years regardless of whether I’m eating raw food, Weston A Price fermented veggies up the wazoo, junk food, gluten-free, macrobiotic, vegetarian, paleo, mediteranean, Japanese you name it, I’ve yet to find a form of detox breakout that actually passes and then moves on. I think people who experience detox breakouts from new diets/skincare regimens are in the minority and for some of us, many would-be-gurus have pushed our food/habits to even more severity to encourage a “detox reaction” that was never a detox, just a plain bad fit. Started using the honey cleansing method with manuka a few weeks ago – for starters, my skin is combo, no acne, but small regular breakouts on my chin. First week was fantastic! Softer skin, and it felt so good applying it. Second week I noticed more pimples (only small!) and little bumps on my jawline, chin and a forehead. Now i’m heading into my third week with more small pimples and bumps, patiently waiting for it to clear up! I got my daughter to seitch over to manuka honey and jojoba oil and was great for 3 days then suddenly started breaking out all over her face in little bumps, it’s getting worse by the day and she is breaking out where she never has before, she also changed her diet … Is this purging? I just wanted to share my experience because I am struggling beyond belief! I’ve devoted my life towards a quest for clear skin… working in holistic nutrition, bodywork, becoming an aesthetician (from an all-natural school!) and a makeup artist… all just to hopefully find the remedy and move onto the next chapters of my life. I can’t say my skin has been great recently, but a good regimen of acupuncture and dietary balance obviously helps. But then, a company who makes the most beautiful all organic pristine products sent me their line to test out before using it in my spa. Week 1, great. Week 2, eruptions are starting. Week 3, one of the all-time worst breakouts of my life. I’ve labelled 4 ingredients that I *KNOW* don’t work for my skin, although 3 of them are often prescribed/pushed on acneic skin especially by the natural skincare world. And I overlooked the fact that there was raw organic honey in all of the products that this line sent me. Having tried honey before on 4-5 disastrous occasions (always takes a few weeks to get in there and do some damage), I should’ve known better….I assumed a trace amount wouldn’t affect me. I’m now paying a huge price. Honey- any bee product- and jojoba are interpreted by my skin as waxes. Most natural/raw-ish honey contains wax, and jojoba is actually a liquid wax, not an oil, and it contains the same chemical structure as the sebum in our skin. So although it’s got a marginally anti-microbial profile, if your skin typically doesn’t know how to properly expel sebum, it certainly won’t know how to expel jojoba. Hence breakout. Just for others to know- the other 2 ingredients that sent my adult hormonal acne to hell and back are lactic acid (in a lot of exfoliants…. a great ingredient… causes huge subcutaneous cystic welts for me) and dimethicone, which of course I try to avoid at all costs. I tried switching my routine to manuka honey and grapeseed oil but my sensitive skin is not accepting it well, I think it is the grapeseed oil. I was also put on birth control recently by my doctor, for a hormonal imbalance. I am thinking of trying Black African Soap, have you tried it before? Would you recommend it? I just started using Manuka honey because I’ve seen some YouTube videos of people using it as a cleanser and/or face mask. I used to use regular honey and the results were amazing, but haven’t done it in a while. So the first time I used Manuka honey, I applied it directly on my skin. The more I massaged my face the more it felts sort of itchy and red, especially on my cheeks and chin. I don’t know if that’s normal, but I’ve had a similar reaction before when I used oatmeal (as a cleanser) and some brands of olive oil (as a moisturizer). I remember I continued using the oatmeal even though it caused more breakouts because I liked how it felt going on my skin (it seemed to brighten my complexion). The itching eventually stopped and it started to reduce my pimples instead of the other way around. This may have just been the “acne purge.” I hope the same happens with the Manuka honey because it is quite expensive and I really want to go for natural ingredients on my skin. Has anyone had the same experience with Manuka honey? Is it normal for skin to itch and become inflamed when using Manuka honey for the first time? Just received my Manuka honey! Ive been reading these comments for a while and I’m kinda scared Im going to have that purge phase too! I have purchased your ebook and started that about a week ago and only had a small breakout since, I haven’t had any problems in the past transitioning to new products so I hope this isn’t any different. I didn’t have a problem quitting ProActiv or when I started using just raw honey! I decided to apply the honey to a small section of my face so if there is a purge hopefully it doesn’t cause a major breakout! I will update in a few days to let everyone know!!! Hope this works!!! I started OCM and manuka honey masks in the evenings and honey wash in the mornings at the same time. Before, I would get a few spots of hormonal breakouts but nothing serious. The first few weeks my complexion looked amazing. However, about 1.5 months in I started breaking out. 3 months in, all hell broke loose and my entire face was covered in white heads, inflamed pimples and cysts. I quit OCM and only used honey for the ocasional spot treatment. I noticed the areas I treated with honey never really looked better, in fact they kept getting inflamed. The acne looked angry on those treated spots. I saw the derm and started a regimen that severely irritated my skin. I thought a honey mask would calm it down. NOPE. Seems like manuka honey is a huge trigger topically for me. I also believe that clear skin is from the inside and as a vegan, I’ve recently cut out all soy, processed foods and gluten. I’ve started fermenting my veggies and supplementing zinc as well as eating loads of greens (including spirulina, chlorella and moringa). 4 weeks later, the acne is healing slowly, but I’m still breaking out from my OCM and manuka honey debacle. I think those methods were too strong for my sensitive skin. I switched from raw organic honey face wash to the Manuka honey 5 days ago. My skin FREAKED out. I have so many pimples, lumps and bumps all over that I stopped counting. I am thinking that I am having some sort of allergic reaction to the Manuka since my skin burns and actually hurts all the time. My question is that for those people that had an initial purge or bad breakout with the Manuka – did you all stick with it and it improved or did you stop using it altogether?? Hi Brooke, if you’re having an obvious really strong reaction like that (including burning), I wouldn’t stick it out. Manuka is pretty strong, it might too much for you right now if you have very sensitive skin! for everyone breaking out with jojoba oil – you need something higher in linoleic acid and low in oleic acid, that also has a comedogenic rating of 0 or 1. jojoba oil is NOT an oil, it’s a wax ester, and it carries a comedogenic rating of 2, which can be too high for acne-prone people. some people do swear it by it and it can work, but try swapping it out if you have issues. some oils that are high in linoleic acid, low in oleic acid, and completely non-clogging are: hempseed, amaranth, prickly pear, black cumin seed (use as a small fraction of your oil blend), and maracuja. hope this helps 🙂 sending love .